Coupon advertising has been a staple for businesses for a very long time. These days it has evolved into more than just cutting along dotted lines in newspapers and magazines, yet it remains an indispensable tool to attract customers and create a real “buzz” for your marketing campaign. Offering a fixed percentage or discount when paying for your product or service is a great incentive for people to try it out. Satisfied customers are likely to buy again — even at full price. To grab the attention of potential customers and generate more sales for your business, create coupons that are visually appealing. Starting at only $5, you can hire a freelancer from Fiverr to design custom coupons for your business. Click here to get started. Is Coupon Advertising Right For Your Small Business? Coupon advertising isn’t just a way to appease the deal hunters in your life. It’s an essential way to draw in new customers. Everyone appreciates a good deal, right? In fact, coupons have proven themselves to be highly effective sales tools. CMO Council reports that 71% of internet users in the U.S. were influenced by coupons and discounts when making their purchase decisions. While coupons work for most sizes and types of business, small businesses may get frustrated when they feel they have to offer coupons just for people to try their offerings. However, a survey among businesses revealed that 75% of companies are willing to sacrifice margins to offer exclusive discounts and secure their customers’ loyalty. So you better keep up with the game. Remember, the main goal of offering coupons is to encourage consumers to try your products or services. If what you offer is really good, they’ll most likely stay. Coupons give you the opportunity to persuade new customers to switch to your brand. Make it count! 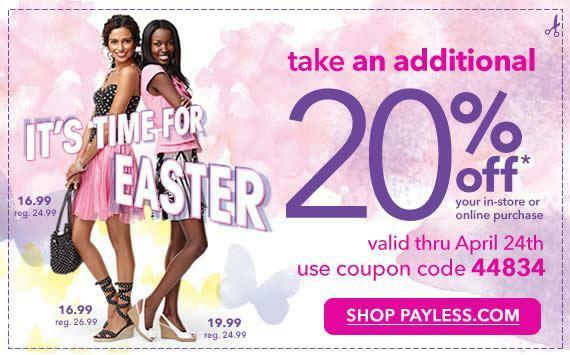 Payless uses imagery of shoes and clothes that puts you in a shopping frame of mind. Coupons that provide full-color, eye-catching content can compel customers to read your message. Give your content the professional and stylish look it needs. Include your logo and photos of your products to intrigue consumers. Click here to visit Fiverr and have a freelancer design a coupon for your business for as little as $5. The above coupon also uses just enough text to get their message across without overwhelming the customers with too much unnecessary information. They answer every concern a buyer could think of. What: 20% off your purchase, Where: both in-store and online, When: until April 24th, and How: use the code 44834. Be careful not to overdo your coupon with unnecessary images because the text is also important. Don’t forget to include important details about the promotion: title, expiration date, and the terms. Don’t try to trick your customers and always specify if there are certain restrictions. This honesty will demonstrate that your brand or company is trustworthy. Just like with other marketing materials you need to direct your customers where to go or what to do next. Be sure to include a clear call to action when designing your next coupon. Just like how Payless invited their customers to shop on their website. Running relevant holiday promotions is a good business move. Just like what Payless did with their Easter coupon. People love a good holiday sale, no matter when it is. Keep an eye on upcoming events and create a coupon code to send out during those celebrations. Take advantage of the opportunities to run holiday promotions that your customers will look forward to year after year. There are plenty of free design tools aimed at helping beginners and professionals alike. One of the most popular ones is Canva. This website is useful for those who aren’t graphically inclined and are overwhelmed by the thought of using Photoshop. If you don’t have the time to make your own coupon, you can check out sites like Fiverr to get freelance design services, starting at $5. There are plenty of freelancers looking for projects. 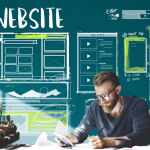 For a more professional design, you can use sites specifically dedicated to offering graphic design expertise, such as 99designs. Tapping a specific community of proficient designers improves your chances of getting quality work done. There’s a lot of different ways to distribute coupons online, and the options vary widely in cost. On one end of the spectrum, there’s free coupon hosting sites like RetailMeNot. You can post your coupons for free, although they’re unlikely to be viewed by anybody who isn’t already an existing customer. Another option is to distribute coupons to Coupons.com and other local coupon websites. This is a better option for brick and mortar businesses, since searches are narrowed by zip code. Your business can acquire new customers from users who are browsing local deals. Whether you’re a web-based or brick & mortar business, offering loyalty coupons is an essential way to keep customers coming back. If you already have an email list, then congrats – you have perfect medium for sending coupons. Email-based coupons allow you to send more personalized offers based on what other purchases a customer has made. You also get the advantage of privacy, since email-based deals (hopefully) won’t be available to the public at large. Print coupons have been widely used since Coca Cola issued the first coupon in 1887. While digital coupons are more convenient to redeem, print coupons still represent 44% of the coupon market. Coupons distributed through magazines and newspapers haven’t lost their popularity among consumers even in today’s digital age. One study showed that 70% of consumers still look for and use traditional print coupons in their newspaper and magazine subscriptions. Let’s say you have pet store and want to send 5,000 local dog owners a coupon for dog food. Using VistaPrint, you can have full-color postcards printed, addressed and mailed for about $2,000. For an additional $300 – $500, you can also “rent” a mailing list. VistaPrint gives you tools to create a mailing list of potential customers in your area. You can narrow down by location, age, and other factors, like dog ownership. For more about this option, check out our guide Best Direct Mail Service: VistaPrint vs. PSPrint vs. EDDM. Offering occasional discounts can encourage your existing customers to keep coming back. Coupons shouldn’t just be a one-time deal. Use it to build loyalty. Always follow up with further promotions down the road. You can send coupons to your email list, have a popup or coupon banner on your website, post on your social media media accounts, or blog about it. Also, make sure to always deliver something of value to your existing customers. Send compelling and targeted offers that nurture an ongoing relationship. However, be strategic with which discounts you promote. You don’t want to discount items they buy frequently. Advertising an add on or a new product can be more rewarding for your business. Remember, in order to convert new customers into loyal ones, you need to offer follow up discounts. The follow-ups should be big enough to encourage retention, but small enough so you’re not losing out on subsequent orders. Coupon advertising ranges from free to several thousand dollars. This is not the only factor that should be considered, however, when determining how much coupon advertising costs. You also have to add the cost of the discount itself, the revenue you’ll gain from new customers, plus the revenue you’ll lose from existing customers who find the coupon. Coupon: $10 Gyro Plate (normally $15). The plate costs you $10 to make and serve, so you break even when a coupon is used. Cost of Promotion: $99. You distribute it for 1 month through LocalSaver + Facebook ads + mobile display ads. Sales From New Customers: 100 new customers come. Some buy additional items, resulting in $2,000 in sales. Cost of Goods Sold to New Customers: $1,750. Despite high sales, you net only $250 from new customers because of the discount. Lost Revenue from Existing Customers: 50 existing customers use coupons, resulting in a loss of $250. Number of New Customers that Return: Half your new customers (50) return after the promotion. In this scenario, it would only cost you $2 for each new customer you attract to your business. This is a small cost that could easily be made up with a subsequent visit – so running this promotion would be a no brainer! Let’s say only 25 new customers return after the promotion. Also, let’s say 100 existing customers (instead of 50) caught wind of promotion and used a coupon. Now your revenue lost from existing customers would increase to $500. This drastically changes the outcome. Now a customer would have to return 2 or 3 more times before you can break even off your coupon. Once your coupon promotion is over, it’s now time to measure how well it performed. Whether it’s tracking coupon codes through analytics or simply counting the amount of coupons redeemed in-store, you should carefully monitor the results and use the findings as guide for your future marketing efforts. Before you even start a campaign, always remember to set a reasonable sales or revenue-based goal. This will help you decide how much money to spend on the campaign and ultimately, help you measure the results. Determine overall cost of the coupon campaign. Figure out distribution costs and any promotional costs. Find out how much money you earned for each product. Subtract the overall cost of the product from what you charge for it. Figure out how many products you need to sell to cover the costs of the promotion. This is your breakeven point. Simply divide the overall cost of the campaign by the per product profit. Find out how many products you sold and compare that to your breakeven point. Customer satisfaction. Were you able to gain happier customers after the promotion? Note that customer satisfaction is a key element to loyalty and long-term brand switching. Considering customer satisfaction when determining whether or not your promotion was successful is a must. Brand awareness. Was your promotion able to improve your brand awareness? Then all is not lost. You may be able to get more customers in the future, since they will have already heard about your company. To do it right, coupon advertising takes a lot of planning. First off, you need to figure out a discount offer that balances attractiveness and profitability. Secondly, you need to offer follow-up coupons that ensure customers are retained. Thirdly, you need pick the right distribution channels that help you draw in new customers. Lastly, you need to measure the efficiency of your campaign. From planning to implementation to analysis, every step in the coupon promotion process is critical to making it a success. Make sure you maximize the number of eyes on your coupons to draw in as much new business possible by creating eye-catching coupons. Hire someone from Fiverr to design a coupon for your business. Click here to get started. Actually, I was searching for a site to get some suggestion on how to approach a publisher for your product for the first time, Then I stumble upon on your post. Wow, I didn’t know you have to keep in mind so many things just to drop a mail. This is a very helpful content and thanks for posting it. It’s quite an informative blog for any small businesses to learn how they can boost their business and attract consumers. It looks like you’ve done enough research on this. Thanks for sharing the tips. It was a pleasure to read. Hope to see more post on this matter. Coupons are an effective way to attract new or existing customers for your business. There are various ways a business can distribute and market coupons. 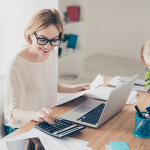 They can be distributed via TV ads and radio, but these ways can be costly especially for a small business owner. However, with advanced technology, advertising a business has become a lot easier and cost effective; such as placing advertisements in newspapers, magazines or on the web. Coupon marketing isn’t just a method to satisfy the deal hunters in your life. It’s an imperative method to drive new customers to your business. Before you dive into the world of online coupon service providers to create coupons for your business, you need to understand the goal of coupon advertising. As in this beautiful and informational blog, everything includes in this blog every aspect of coupons. I am a volunteer for a non-profit national organization. I have created a way to help as a fund raiser for our National Educational Scholarship programs a coupon campaign for corporate sponsors. I have the costs down from printing to distribution. What is considered a reasonable profit margin? If you’re selling coupons as a fundraiser for a non-profit, I would assume you can expect a very healthy margin. You can sell a coupon book/sheet for around $10, but that will vary depending on the quantity/quality of coupons. Thank you for your informative “coupon article”. We are looking to become a “small business” (actually purchasing a historical opera house that is badly needed to put into use in this economically challenged, rural area). (We plan to make part of the building into a cultural arts center, and community center). We are looking to contact local businesses in the small towns around, for advertising in a “coupon book”. On searching the web, I think these are called Entertainment Books, only we will include merchandise and services from businesses. (the bars are pretty much the only entertainment around here). Do you have suggestions for selling, assembling, how much to charge advertisers and customers, etc? Or could you steer me to a site that explains that? Thank you. I don’t have any specific information how much entertainment books sell for, or how much to charge advertisers. There is some information in this article, however, from Step By Step Fundraising.